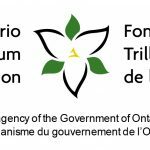 Ontario Legislature Prorogued: What Does this Mean for the Organic Products Act? Wondering what the prorogation of parliament means for Bill 153? The word prorogue means all legislative business is discontinued, and Bill 153 is no longer on the table. MPPs Peter Tabuns (NDP) and Sylvia Jones (PC), who brought forward the original bill, are already preparing to reintroduce Bill 153. 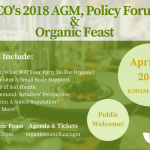 They’re also urging the Minister of Agriculture, Jeff Leal to share the government’s conclusions made in light of the organic consultations held last fall, and put legislative change to introduce an Ontario Organic Regulation on their agenda. It’s time to challenge the Liberal government to #actONorganic. This is the moment that counts! 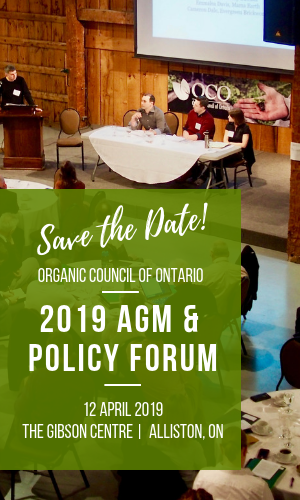 We need your help to send a message that concrete action to protect and support Ontario organic is needed. Send your MPP a letter or email using our customizable template.